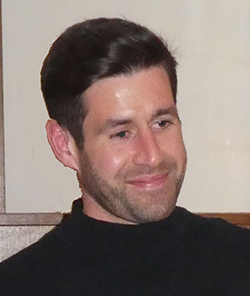 On the evening of Thursday, 28th March, Shrimpers Trust members and their guests welcomed former Southend United midfielder, Michael Timlin to their fund raising Chinese Evening at East in Alexandra Street. 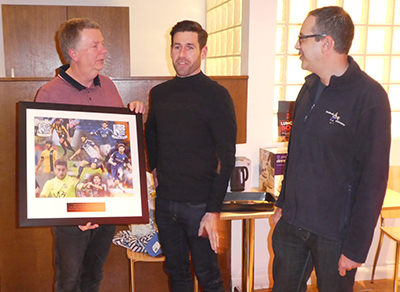 The Trust had undertaken to make a presentation to Michael, on behalf of all Southend United supporters, to mark the outstanding service he had provided the Club with during his permanent signing and two loan spells arrayed over 8 years and 224 matches. Of course, Michael will most famously be remembered for an horrific head injury during the Play Off semi-final first leg against Stevenage at the culmination of the 2014/15 season. Michael returned for the second leg match with a skull cap, and cement our place in the Play Off final, with a goal in the 122nd minute of the match. He then went on to play an important part in the Play Off final itself, against Wycombe Wanderers at Wembley, which was won in a penalty shoot out for which Michael took the 5th penalty. Unfortunately, with a change of manager, Michael's contract was not renewed at the end of the 2017/18 season, and he took up the offer of a contract with, strangely enough, Stevenage. Michael received his presentation from Shrimpers Trust Chairman, Paul FitzGerald, and Trust Board member, Darren Posnack. Michael spent time chatting with many of the 43 in attendance, greeting many of us like old friends. As always when we've had any dealings with Michael in the past, he was a perfect gentleman and we were delighted that he could attend. 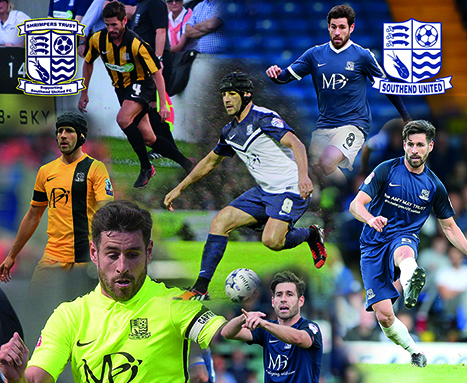 Michael Timlin 2010 - 2018 - Midfield General. from the Shrimpers Trust on behalf of all Southend supporters. The Shrimpers Trust would like to thank Gingerlilly Designs Limited for their work in producing the picture that was presented to Michael.